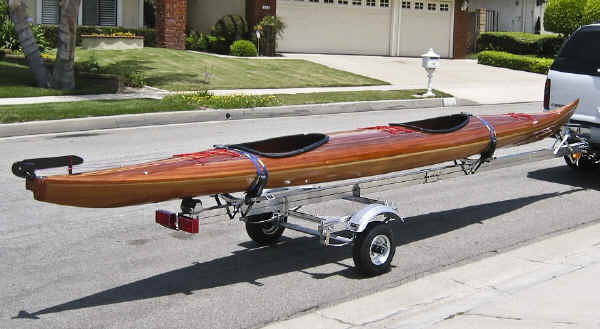 Model SUT-350-S will transport a single Long Freighter Canoe or Sea Kayak. 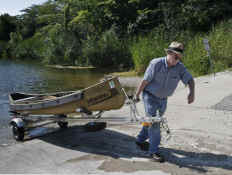 It also will fit sailboats, skiffs and dories. 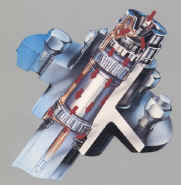 It uses a single soft leaf spring suspension. 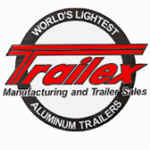 This trailer can be shipped via UPS, and is easily assembled. 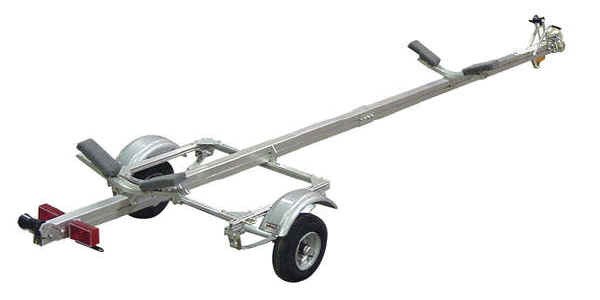 Since the SUT-350-S Trailer is made of aluminum, it is maintenance-free in addition to being strong and lightweight. 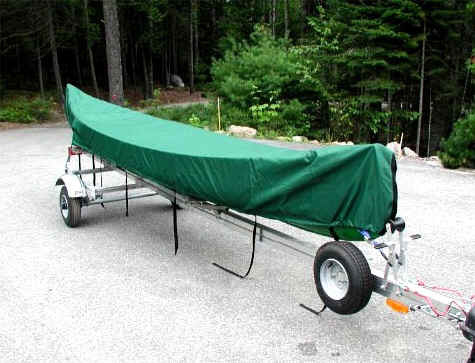 Another advantage is that the SUT-350-S carries your Canoe or Kayak upright, allowing you to store gear in the boat and since the canoe or kayak is positioned for launching, you may never have to lift your boat again. * NOTE: Rear Cradle must be removed when installing the RB-KIT. 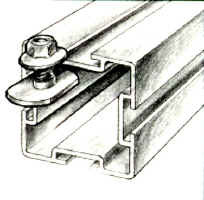 The trailer is designed only for a two point support system. Cradles on SUT-350-S will allow bunks to be adjusted inward to accommodate narrow boat hulls, such as kayaks & Rowing Shells. How light is the SUT-350-S? 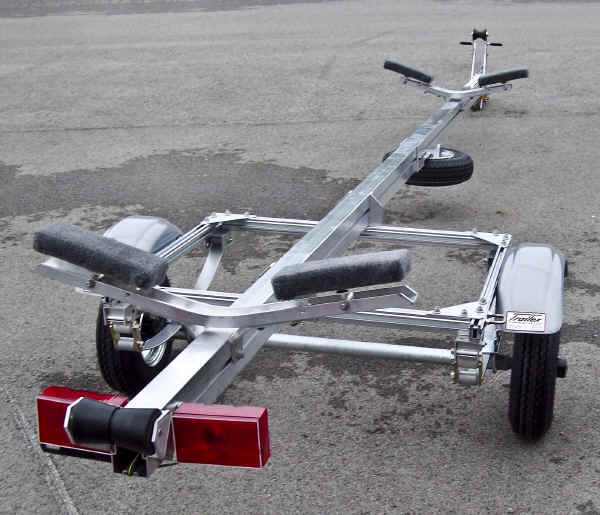 Trailer comes standard with a Front and Rear Cradle. 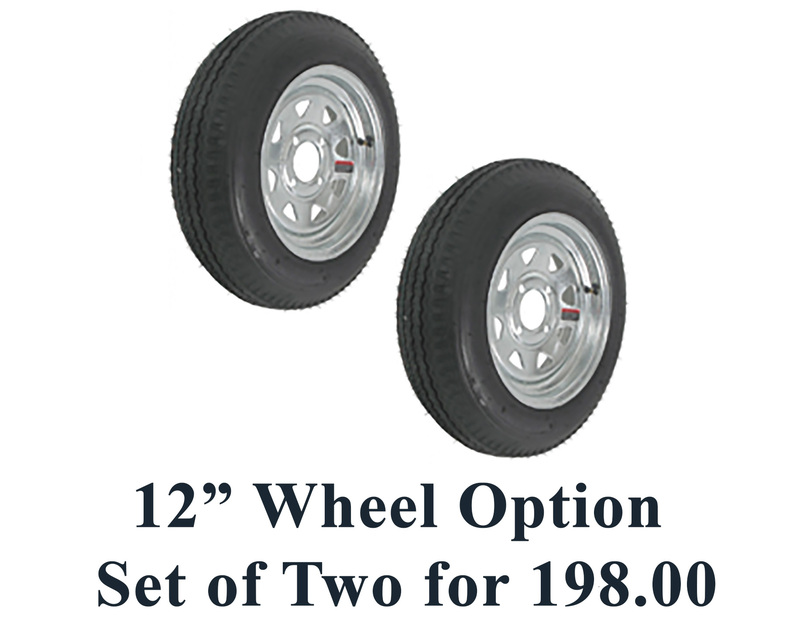 This option allows you to remove the Rear Cradle and install Dual longitudinal bunks. 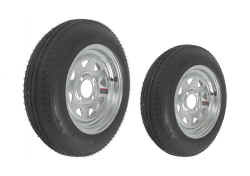 RB-KIT is a Set of Two 48" X 6" Bunks. NOTE: Rear Cradle must be removed when installing this kit. 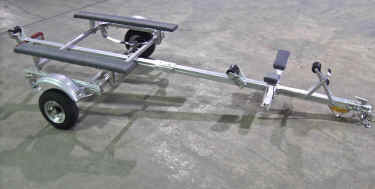 The trailer is designed only for a two point support system. 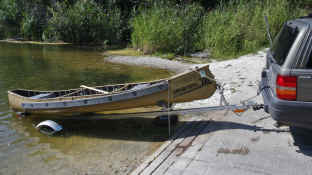 Longer than 20'-6" Light Boats, such as a Rowing Shell can be carried, but rear flags or lights are advised on the end of the boat. On boats with long overhangs, care should be exercised when going up or down inclines, so that the stern of the boat does not touch the ground.